Jack attended Hirsch High School in Chicago where he was a state chanpion in 1949 (135 Ib. weight class) in wrestling. In 1949 he was an All-City guard in football: AlI-City area and honorable mention All State in football. He received his undergraduate, and later after military duty, his Master's from SIU where he was twice IIAC wrestling champion. He was also a Central AAU wrestling champion. Beginning in 1957 at Pekin he was an assistant to Jim Custer for 10 years and in 1967 he became head wrestling coach, a position he held for 29 years. While head coach at Pekin, Jack's teams won 4 lIlini conference titles, 26 Mid-State conference titles, 22 District/Regional titles, 6 Sectional titles and 1 tie. He also had 84 state qualifiers and 21 state place winners, including 3 state champions, and 3 runners up. His varsity record at Pekin was 466-120-14. 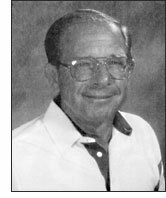 Jack was Central Illinois Wrestling Coach of the Year in 1976, '80, `83, `86, `87, `89, and `98. 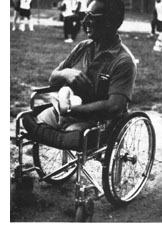 He was inducted into the IWCOA Hall of Fame in 1983; Region 4 National High School Athletics Coaches Association Wrestling Coach of the Year in 1987, Grand Marshall at the Illinois State Wrestling Tournament in 1994; and into the Illinois Chapter of the National Wrestling Hall of Fame in 2001. He received an lWCOA Lifetime Achievement Award in 2003. Jack has been an active member ofthe Illinois Wrestling Federation since its inception in 1968. Team leader to Iowa City two times and a National Coach for 15 years. He developed 3 finalists in the Freestyle division and 1 finalist in the Greco-Roman division. Today he continues to serve on the IWCOA Hall of Fame selection committee. In addition to his contributions in wrestling, Jack has been an assistant football coach at Pekin High for 46 years. He coached on the frosh-soph level from 1957-1964; assistant varsity level from 1965-1985. He was the varsity line coach for the 1965 undefeated Pekin football team. He coached on the freshman level under Dale Patton from 1986 until 2008. In 1998, Pekin High School honored Jim Custer and Jack by naming the auxiliary gym the Custer-Stoudt Gym. Jack completed his 51st year of coaching in 2008.